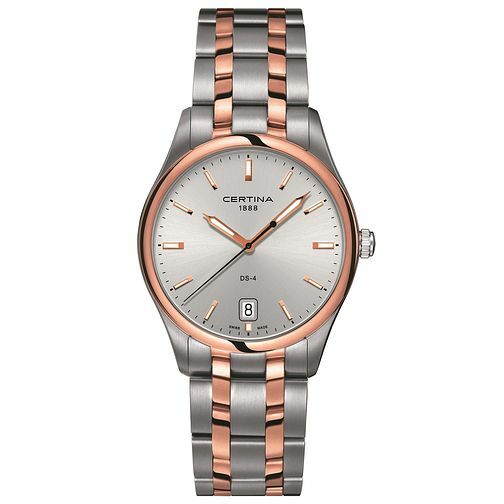 A sleek DS-4 Big Size bracelet watch by Swiss watchmaker Certina, crafted in shining stainless steel and rose gold. A fresh silver tone dial features quartz movement, date window at six o'clock, luminous hour markers & hands with black detail. A sophisticated watch for the modern man.